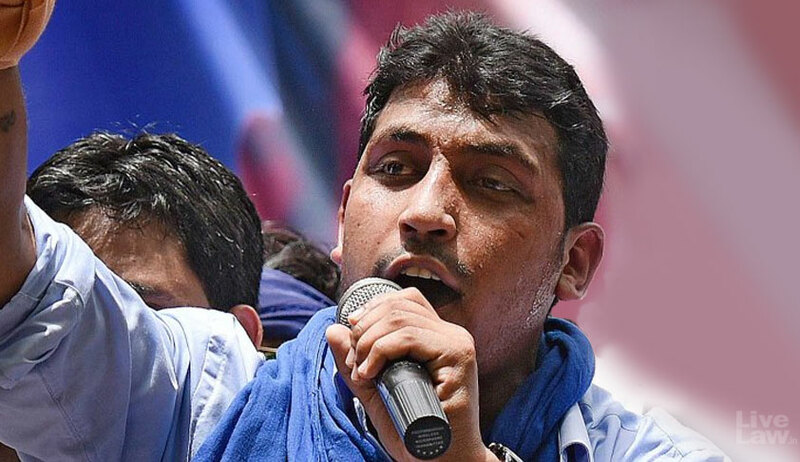 With Bhim Army founder leader Chandrashekhar Azad challenging his detention under the National Security Act (NSA) and seeking compensation for the illegal detention, the Supreme Court has issued a notice to the Uttar Pradesh government and the District Magistrate, Saharanpur, seeking their response within four weeks. Azad moved the Supreme Court after the Allahabad High Court refused to quash the notification dated November 2, 2017 issued by the Uttar Pradesh government under Section 3 (3) of the National Security Act, 1980 detaining him under the NSA. Azad’s counsel Shreeji Bhavsar said Chandrashekhar alias Ravan was detained on the orders of the District Magistrate, Saharanpur, even as he was nowhere “even remotely proposing to act in a manner prejudicial to the security of the State or prejudicial to the maintenance of public order or essential supplies and services”. Azad was booked for violence that broke out in Saharanpur in June last year. His lawyer said 23 FIRs were registered in relation to that incident at Mallipur Road Chowki, Saharanpur, following alleged slogan raising against Dr BR Ambedkar but Chandrashekhar’s name was mentioned only in five FIRs and he was granted bail in all these five cases. It is to be noted that on November 14, the petitioner had given a representation to the District Magistrate Saharanpur challenging the order imposing Section 3 (2) of the National Security Act 1980. The representation was dismissed by the DM on November 17, 2017. “…under Section 9 of the National Security Act, 1980 State Government constituted Advisory Board and after considering the case, the Advisory Board under Section 11 of the National Security Act, 1980 gave its Report to the State Government. “…relying on the Report of the Advisory Board, under Section 12 of NSA, the State Government through its Order dated 21.12.2017 confirmed the Order of the District Magistrate imposing Section 3 (2) of the National Security Act, 1980 upon the petitioner detenue,” said his counsel. He said the order has been passed mechanically and was further extended his detention from three months to six months and then to nine months. The counsel said it is a case of “political prosecution” and the state is expressing its “anti-Dalit” attitude. “The NSA Act was not intended for every tiny law and order situation which is brought under control quickly. No arms were used. No recoveries from the area were made. No weapons were used or seized. Nothing is mentioned in the chargesheet in this regard. No injuries were caused to police personnel. It is said that some vehicles were damaged. Surely NSA is not to be used in this manner. This is a gross abuse of power for which strict disciplinary action should be taken against the authorities and the detenu ought to be compensated,” he added.